Steve Howard writes cultural notes for Adelaide conditions. These are his notes for August; for both epiphytes and terrestrials. Pots weekly. Small pots twice weekly depending on weather. Drier conditions for hot cold types. Terrestrial pots can dry out faster on warmer days so keep a watch on conditions. Epiphytes: Recommending feeding towards months end as days lengthen. Many plants in strong spike growth and flowering now. Terrestrials generally don’t need to be fed although weak organics like Seasol and Powerfeed applied in low doses can benefit colony type greenhoods. Epiphytes: Botrytis will rot new buds in cold damp weather as fast as it attacks new growths from now. Aphids will increase sharply this month and favour new growth and spikes. Pyrethrum sprays eco friendly and work well, so does a hose but dry spike straight after. Epiphytes: Keep flowering plants under cover to enjoy. Soon will be the time to start thinking about re-potting and division as spring nears. Later August will produce some warmer drying days as spring nears. Ensure small pots and plants don’t dry out at this time. Good time to check out seedling lists and prepare orders to ensure your plants arrive at the commencement of a new growing season. 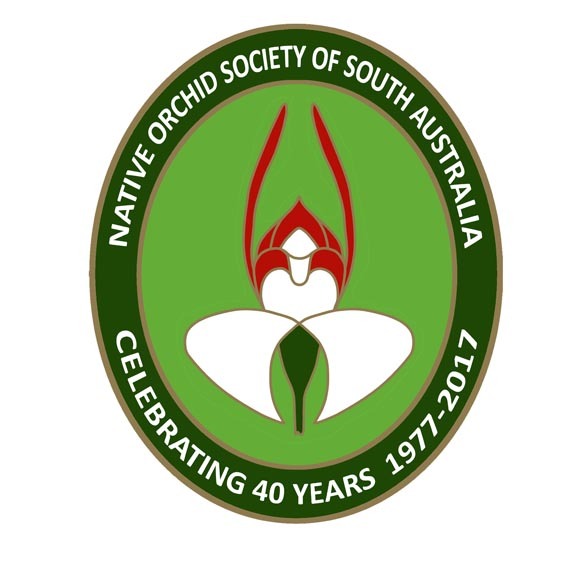 Steve Howard regularly writes orchid cultural notes for various orchid clubs in South Australia. His notes are tailored specifically conditions in Adelaide. The following are his notes for both epiphytes and terrestrials for the month of July. Water mounted native epiphytes daily; pots weekly and small pots twice weekly depending on the weather. Hot cold types require drier conditions. Generally none to once monthly for me. Colder weather slows down their metabolism in winter. Foliar feeding is beneficial. Keep water out of new growths to avoid rot. Clones prone to this need to be moved under hard roof cover to keep drier. Check under leaves for scale. Weed pots as the weeds appear and ensure that they don’t get too wet. Start baiting for slugs and snails as spikes emerge from protective sheaths. Provide hard cover during wet weather to stop botrytis spotting and rotting out spikes. There is a lot of information on the web about treating scale, some relevant to a specific country, some accurate, some not and much that is contradictory. 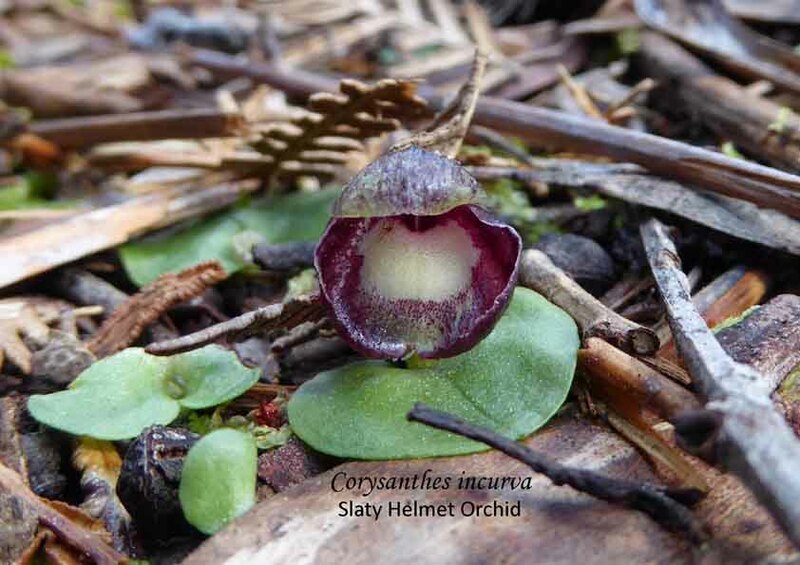 The following information is based upon treatment methods that the Native Orchid Society of South Australia (NOSSA) growers have found most effective. Scale are tiny sap sucking insects of which there are several species in Australia. The female adults build a shield-like cover for protection. The shields are often brown but can be white or red. The shield can be up to 3mm in size. Once a shield is built the adult does not move about but stays in the one position. Ants farm scale as they exude a honeydew sap, a food source for the ants. Immature scale or crawlers do move about. These can be a different colour from the adult eg juvenile brown scale can be yellow, other species can have grey juveniles. They are lightweight no more than 1mm and easily windborne. The life cycle is short, and for many species, within a month there is a new generation of scale. Scale multiply rapidly. Scale tend to attack epiphytic orchids. Evergreen terrestrial orchids may be affected but not the deciduous ones. Consider relocating ferns if they are under orchid benches as this can often be a host for brown scale. If free-standing bench or hanging pots are free of scale and plants are not touching any other surface than applying Vaseline around each of the feet/lower part of the hooks will prevent ants and crawlers from moving into the area. Vaseline is waterproof and so will be effective for a long time. Scale are hard to eliminate entirely. Vigilance and persistence are important factors in controlling scale. a direct contact spray whereby the insect is suffocated by smothering. This is effective for all stages of the life cycle but particularly for the adult under its shield. an application of a systemic chemical. For treatment to be effective the leaves (both upper and underside), crevices, sheaths, pseudobulbs, stems must be thoroughly drenched with the spray of choice. Using pure soap (not detergent), suds up a bar in a bowl of water, and pour into a spray bottle. See ABC Fact Sheet: Horticultural Oils for more details on oils. Do not spray on very hot days as it can cause burning. It is important to dilute, as the oil can also block the leaves stomata and so suffocate the plant. It is a foliage spray and should not be used on the plant roots. Whatever chemical spray is used, repeat within 4 weeks of the initial treatment and then as often as necessary. Ideally, it is best to use multiple systemic sprays to avoid the scale becoming resistant to the chemical. Follow manufacturer’s instructions at the minimum recommended strength. Wait a week between using the different types of sprays. Spraying too soon will negate the effects of the first spray. This week’s blog is an extract from Volume 30 No 10 November 2006. In this article of Len Field he gives not only cultural notes but also some interesting background including an orchid link with the infamous Captain Bligh. The name linguiforme is from the Latin lingu(a) as in linguiforme (a tongue). It was also claimed for many years that this was the orchid that Olaf Peter Swartz the German botanist founded the genus Dendrobium in 1800, but this was wrong, although this was the first orchid seen by white man when they landed at the rocks area in Sydney cove, Port Jackson. It was introduced into England by Rear Admiral Bligh of Bounty fame. There was another variety named from this species called var. huntianum by Rupp in 1942, which was named after T.E. Hunt and is a June or July flower and found near Ipswitch (sic) in Queensland, but as it reverts to type form it never reached true variety status and was considered just a variation of the type form. Flowering is from August to October with blooms that are long lasting, up to two weeks with one raceme per leaf. Culture. If grown on slabs which is the usual way it should be hung up high and if grown in pots a very coarse open mix. In nature it likes plenty of sunlight although at times it will grow in shade. Whichever way it is grown it should have good light, humidity and air movement.